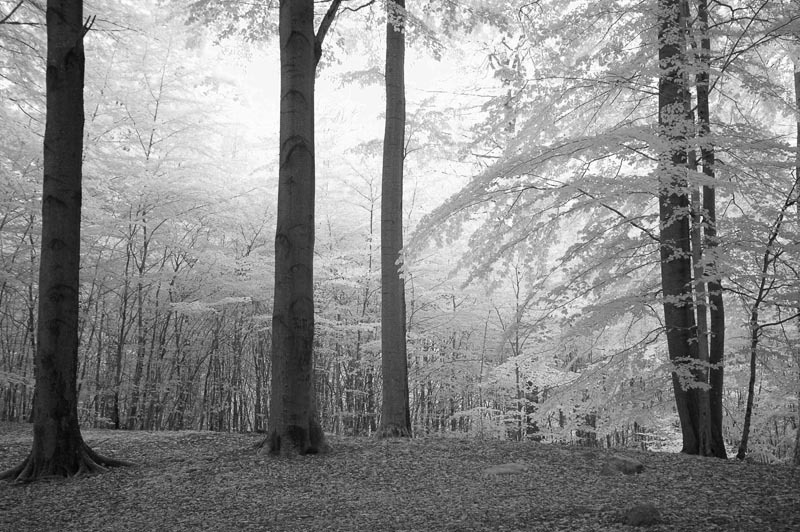 I liked photographing with infrared sensitive film. 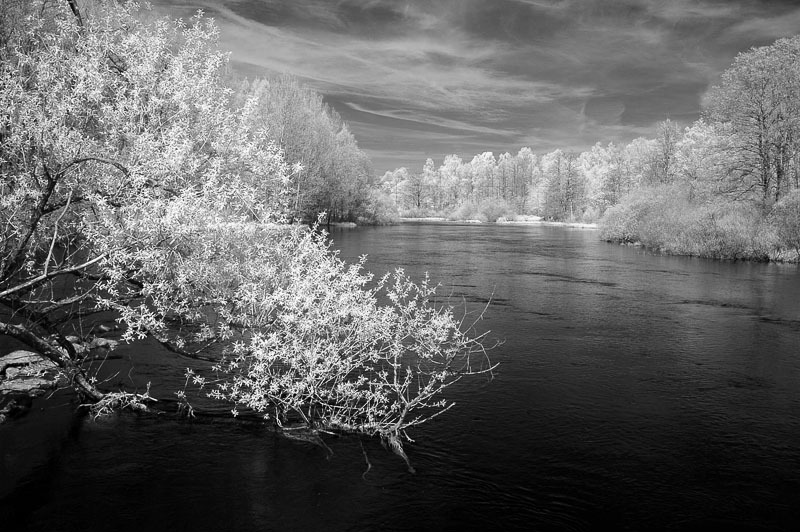 The Kodak High Speed Infrared Film was a wonderful and exotic film. When used with a red filter it produced lovely white clouds against an almost black sky. Foliage was rendered white resembling frost. 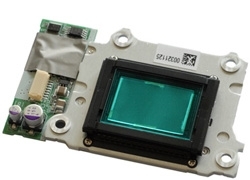 The image sensors of digital cameras are very sensitive to infrared or to be more precise a part of the near infrared spectrum (approximately 700-1000 nm). The infrared radiation is normally filtered away as it would destroy the color fidelity. You have probably already guessed - just remove that filter and you have a digital infrared camera. 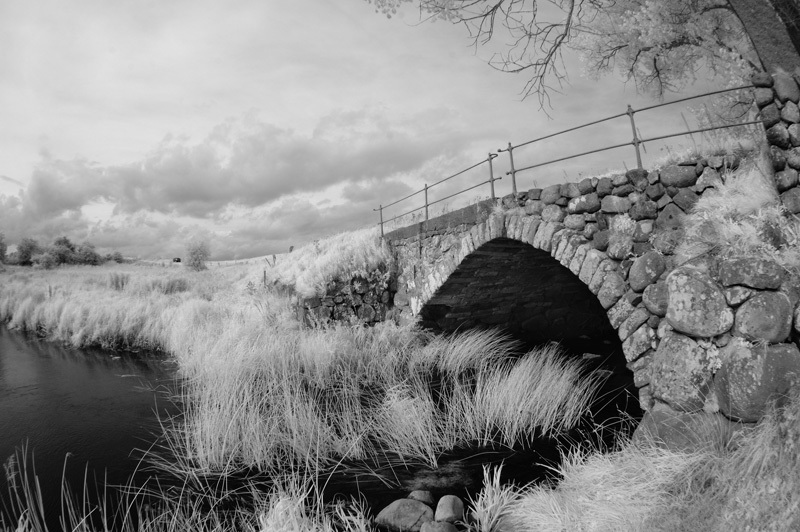 To get the real IR experience you will need to stop the visible radiation (that is what we call "light") just as B&W infrared film was used with a red filter. The best solution is to replace the IR-cut filter with an IR-pass filter. It's a piece of black looking glass that is transparent in the IR part of the spectrum. When I upgraded my photo gear with a new camera body I decided to make my old Nikon D70 into an IR camera. The IR-pass filter was bought from Life Pixel. 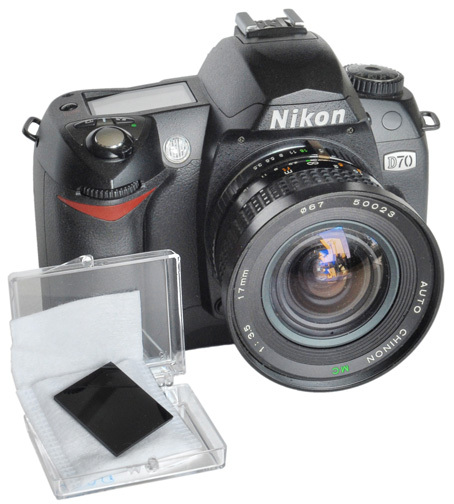 Their site also has a good tutorial on how to disassemble various cameras. You can convert a web camera as well if you like to try IR photography on the cheap. By the way, the lens is a Chinon 3.5/17 mm that I converted for Nikon. There is a special reason why I use this old lens for IR. The longer wavelength of infrared causes a focus shift. In other words you cannot rely on autofocus or the distance scale of the lens. Some lenses (especially older ones) have an IR index mark, usually a red dot sometimes with a red letter "R". Focus as you normally would and read the distance on the scale. Turn the focusing ring so the distance setting matches the IR index mark instead. There is just one more thing to remember when taking IR photos - the white balance. Use the Preset function for WB. Take the reference image with the camera aimed towards a lawn or foliage. It may sound weird but it works - IR is a strange world. The bluish-green thing is the IR-cut filter that is replaced by a "black" IR-pass filter.